Bill Lee-E mery is a Master mBIT (multiple Brain Integration Technique) Trainer and mBIT Coach. He offers training programs for all ‘helping professionals’ including coaches, educators, people managers etc who are ready to upgrade their skills to a higher level. The mBIT process can help people establish deeper more intimate relationships with their 3 brains (head, heart and gut) and that can send ripples throughout their lives, families and communities. The intention is that their lives continually evolve to higher levels of awareness and consciousness. The change can be generative… and over several generations. 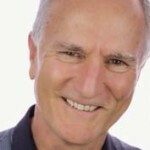 Bill’s journey into consciousness and understanding the ups and downs of human life started over 35 years ago and he brings his compassion and quirky humour into his trainings. He is author of 4 books and is currently researching and writing a book for Conscious Entrepreneurs. Bill lives on the Gold Coast with his partner Julie. I am so glad Ifollowed myheart and came along andI really appreciate Bill’s knowledge. Very interesting! I would recommend this course to everyone – there is lots of information to think about. This subject has helped me understand myself more and certainly helped me understand my way in the future and how to get there – happily and healthily. Amazingly insightful and the tips were valuable! It was great to gain more clarity on this subject. I’d like more please. To view Bill’s courses click here and enter Bill Lee-Emery in the Search.